Over the past eight months we have read many journal entries, diaries and letters describing the experiences, thoughts, ideas and feelings of those onboard the nine ships. We have followed the authors as they navigate ships, measure distances, organise daily life and make decisions. We have read many examples of the important place numeracy skills and understandings had on these voyages and in the early development of the colony. We can also examine the way numeracy has been used in these 1836 experiences and compare this to the types of numerical thinking we do now. This week we will look closely at some primary sources and think about the role of numeracy in the lives of those onboard the ships in our story. 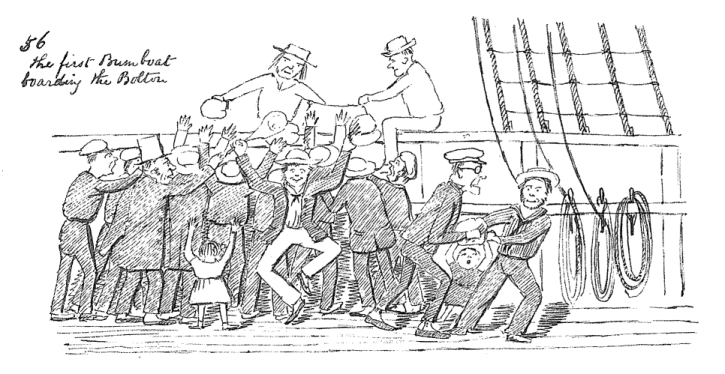 56 the first bum boat boarding the bolton, Edward Snell, 1849. 1. 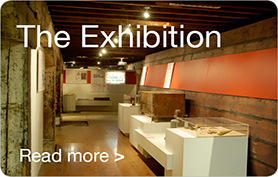 In what ways did passengers and crew need to use numeracy skills onboard the ships and during the early days of establishing the colony of South Australia? 2. How did numeracy skills and understandings vary between passengers? How can we use the primary sources to learn about the numeracy skills of the authors? 3. How does the use of number in this week's journal entries compare to the ways number is used to measure and describe events, ideas and experiences today? 1. How did people develop numeracy skills in England in 1836? How did this vary between social classes and genders? How does this compare to the teaching of modern mathematics today? 2. How do people use numeracy today in Australia, England and other parts of the world? 3. How did people use numeracy in 1836? What were the standards for measurement and currency? How does this compare to the way we count, measure and record ideas and information today? Rule up a template for a November 1836 calendar. Look through the journal extracts from week 38 to week 42 and record each entry on your calendar to show the chronological order of the events. Make a calendar of your own activities in November this year and compare your two calendars. Make a class chart to record terms used to describe measurements,currency and quantities in 1836. Include information to show the terms used to describe these amounts today. Pose questions to research the history of measurement in Australia. How are decisions made about units and standards for measurement. When did Australia stop using imperial units of measurement? How do other countries around the world measure and record distance, weight and volume? Using and analysing sources Colonel Light sits down this week to organise his thoughts about the best site for the colony's capital city. Colonel Light uses a numbered list to compare Spencer Gulf and Gulf St Vincent. Use internet search engines to find images and maps of the two gulfs. How do Colonel Light's descriptions compare to these images? Select one of the journal entries from this week's post. Draw the scene described by the author and label your drawing to show how the author has used numeracy to record their ideas and experiences. Create a board game to demonstrate how numerical skills and understandings were used on board the ships in our story. 1. Print out this week's journal entries and highlight all the numerals and references to numbers. Use different coloured highlighter pens to indicate the different uses of number in this week's entries. Are there examples of number being used to describe the passing of time or weather conditions, to record a measurement, explain the size of a group of objects or to organise thoughts? How many other ways do you think numbers and numeracy skills may have been used on these voyages? Record your ideas. Make a list of all the ways you use numeracy in your everyday life. 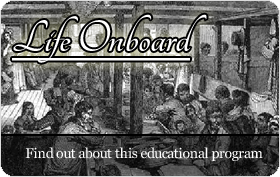 How does your list compare to your observations of numeracy onboard the ships of 1836? 2. In England in 1836 small quantities such as cooking ingredients were measured using ounces and pounds. There are 16 ounces in a pound. Children were taught their 16 times tables to help them learn this everyday calculation. How quickly can you learn your 16 times tables? How many ounces are in a pound of butter? How many ounces are in 2 pounds of salt? How many ounces are in 3 pounds of sugar? How many ounces are in 4 pounds of rice? How many ounces are in 5 pounds of flour? How many ounces are in 6 pounds of suet? How many ounces are in 7 pounds of corn? How many ounces are in 8 pounds of apples? How many ounces are in 9 pounds of lemons? How many ounces are in 10 pounds of potatoes? 3. In England in 1836 imperial units were for measuring. What does this mean? Use a metric conversion tool to find out how many millimetres are in an inch, how many centimetres are in a foot or a yard and how many metres are in a mile? Use streamers to make lengths of one inch, one foot and one yard. Use these to estimate and measure the lengths of classroom objects. 4. Find out about the units of currency used in England in 1836. Collect a price list from your school canteen and look at how it is set out and organised. Create your own canteen price list using pennies and shillings. 5. Collect weather reports from newspapers over a week. Examine how weather conditions are predicted, described and measured using numbers. How are numbers used to describe temperatures, rain fall, wind speed and tidal activity. Use this information to write your own weather report. 6. Create your own recipe for being a good friend. Use the units of measurement that would have been used in England in 1836. Here's an idea to get you started. 7. Children who went to school in England were taught the '3Rs'. These stood for reading, writing and (a)rithmetic. How does this compare to the learning areas in the curriculum at your school? Undertake some research to find out how arithmetic compares to the mathematics and numeracy that students learn at school today. Test out your arithmetic skills. 1. How much would 5 x 2d lollies cost? 2. How much change would you receive from 1/- if you bought 5 x 2d lollies? 3. How many pennies in 1/6? 4a. How many shillings can you make from 30 pennies? 4b. How many pennies are left? 6. John had 2/- to spend. He gave 8d to Mary. How much did he have left? 7. Sarah saw beautiful hair ribbons in a London store. They were 4d each. She bought one yellow one, two blue ones, two purple ones, two red ones and three green ones. What did they all cost? 8. Mother spent 11d for milk, 1/4 for bread, 6d for sugar and 1/6 for tea. How much did all her shopping cost? 9. Lollipops cost 2d each. How many could you buy for 1/6? If the authors of this week's journal entries were not able to refer to numbers in their writing how would they be able to communicate the same ideas? Metric units of measurement are easier to use than imperial units. Next week we will catch up with what has been happening on Kangaroo Island while Colonel Light has been off surveying and exploring. We will take a close look at the geography and history of Kangaroo Island and the important role it played in South Australia's history.